The regulator for a gas dryer manages the pressure level of the fuel flowing through the gas valve to the burner manifold. Designed as a safety device, the regulator reduces the gas pressure to prevent overloading the burner. If the dryer is installed in a new home or there is a change in pressure from the public utility, the regulator may need adjustment. 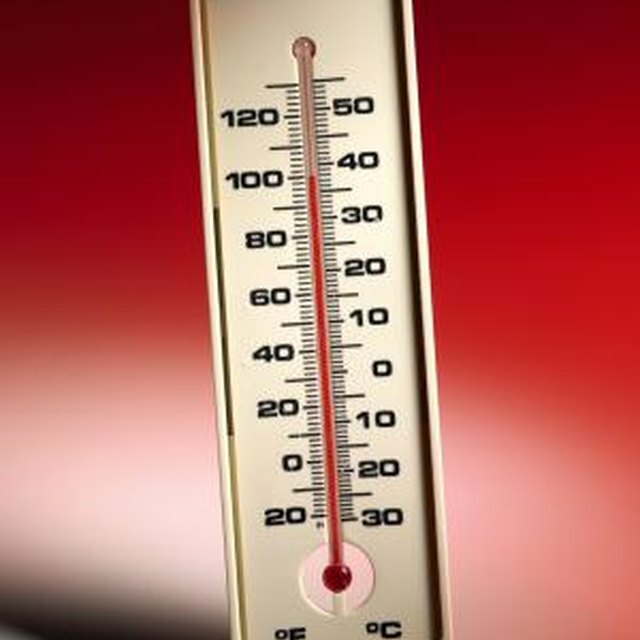 Connect a pressure measuring device known as a manometer when adjusting the regulator to the new temperature. Unplug the dryer's power cord while adjusting the regulator. Although it is a gas appliance, the dryer uses a power cord and electricity for the ignition system and motor to spin the drum. Shut off gas to the dryer, twisting the knob on the valve handle clockwise. Slide the dryer forward to reach the back panel. The regulator is connected to the bottom of the dryer where the household gas line attaches to the appliance. Unscrew the plug in the nozzle on the side of the regulator using a screwdriver. Slip the end of the rubber hose on the manometer onto the nozzle on the side of the regulator. Do not disturb the separate gas hose connection. Open the valve in the gas line connected to the dryer. Remove the metal regulator cover screw on top of the regulator tower using a screwdriver. Turn the adjustment screw, which is below the opening for the cover screw, clockwise to increase pressure or counterclockwise to reduce gas pressure. Check the digital readout on the manometer to monitor your progress. The dryer's recommended pressure rating should be printed on the regulator or back panel of the appliance. If not, contact the manufacturer.